Halloween is my favorite holiday! If you asked me why, I would say because I love the excuse to sip hot apple cider, turn on candles, (yes, eat candy – lol), reminisce childhood memories of dressing up as what I wanted to be when I grew up (Wonder woman) as well as watch my kids do the same, bake and eat anything pumpkin/pumpkin spice, and all the fun activities there are. 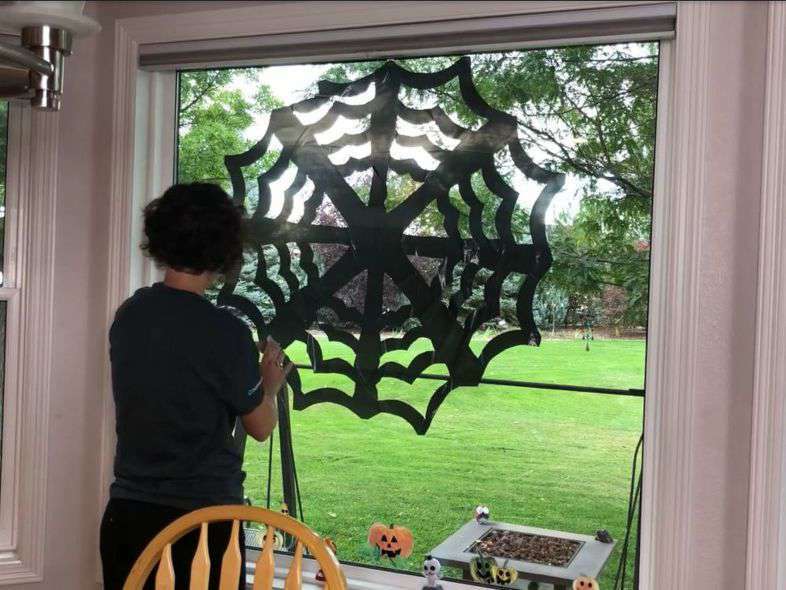 You better bet my home will be decorated by October 1st I wanted to share some easy projects I have been working on with all of you! 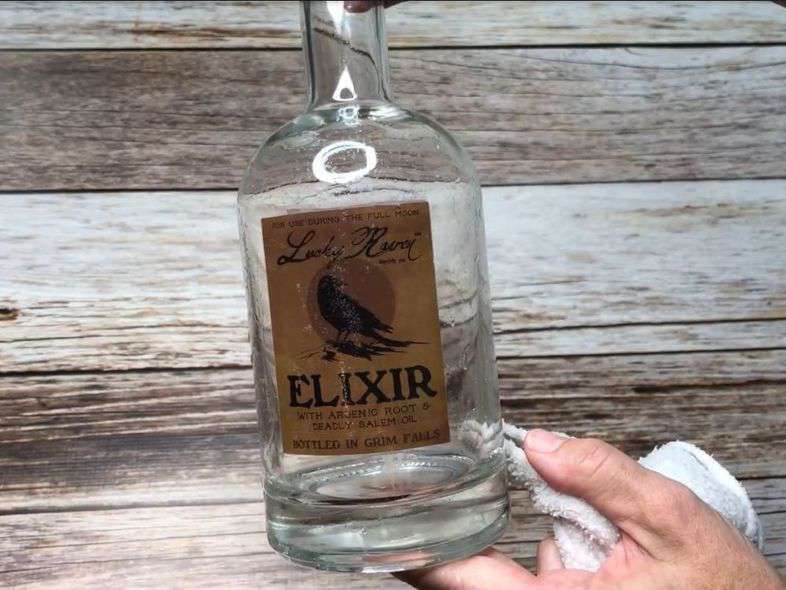 Using a recycled bottle I added a glass “tattoo” that I found at Dollar Tree to it. 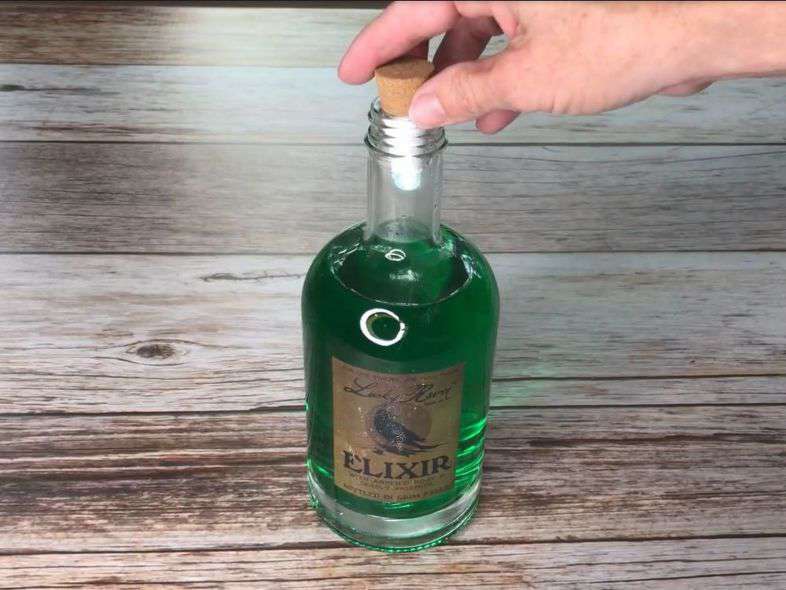 Alternatively you could print your own label and Mod Podge it onto your bottle. 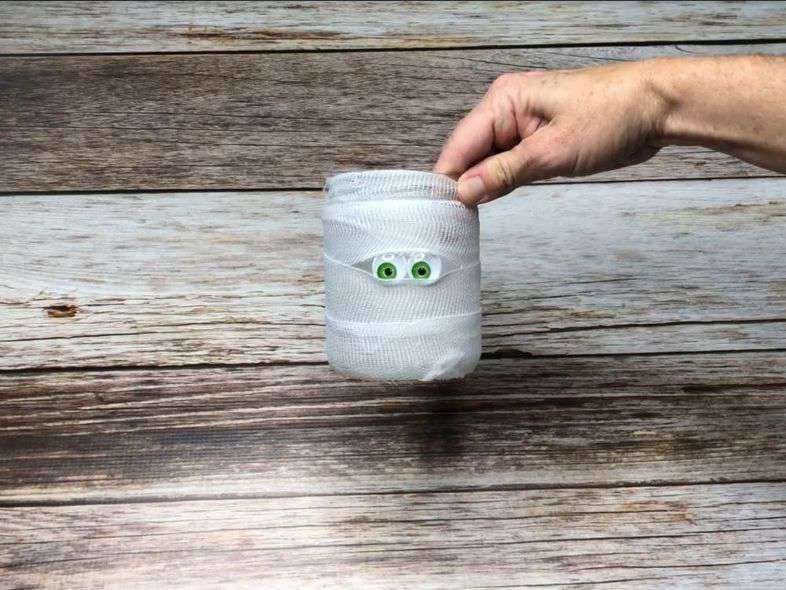 Using a recycled jar, I hot glued on 2 google eyes, then I hot glued gauze to the jar, wound it around the jar, and hot glued the other end once it was fully covered. 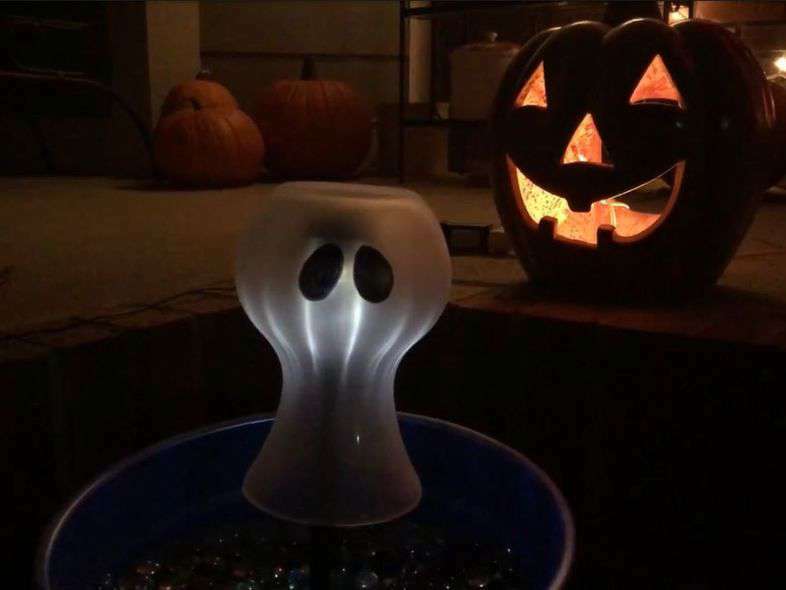 Add a battery operated tea light and he’s ready to glow. Fold the corner of the bottom up to the top of the trash bag and cut off the extra to make a square. Cut all the sides open but leave them stacked as this will make 2 cobwebs. Fold your trash bag up as you would like when you make paper snowflakes. 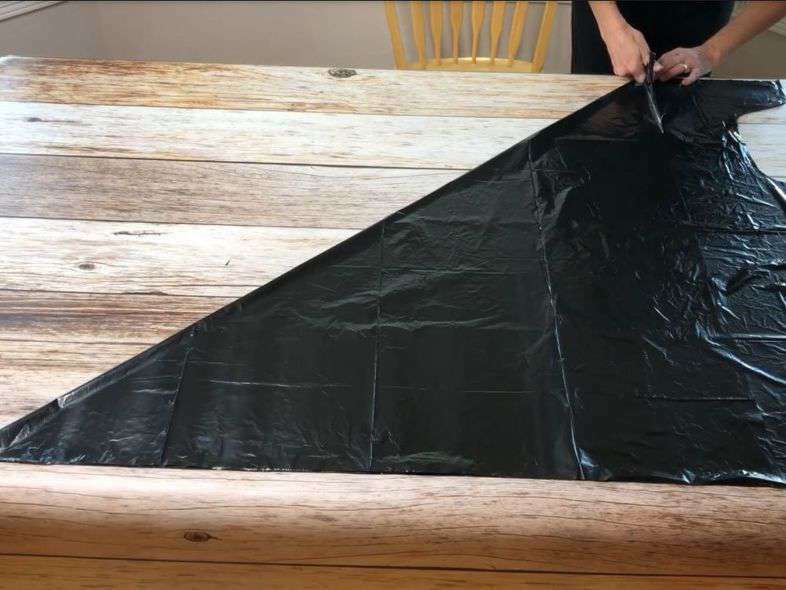 Folding 1 triangle, then another until you have folded it to your desired amount. I folded it about 4 times. I placed a piece of tape on the open end to hold it steady as I cut the other side like this shape in the picture to make the cobweb shape. Open it up and pull it apart as it will make 2 cobwebs. 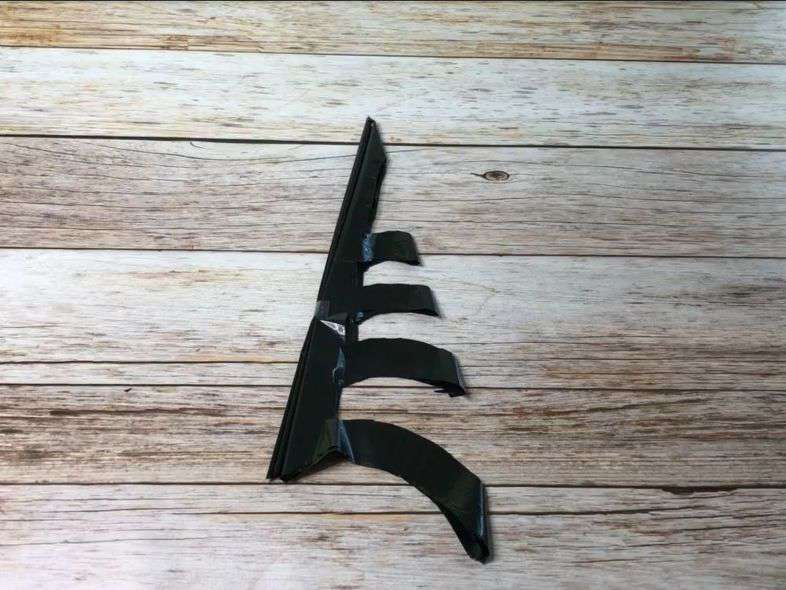 Place one end on your window and I used a piece of tape to hold it to the window molding. Spread the cobweb out onto your window and the rest of mine held in place purely by static electricity. 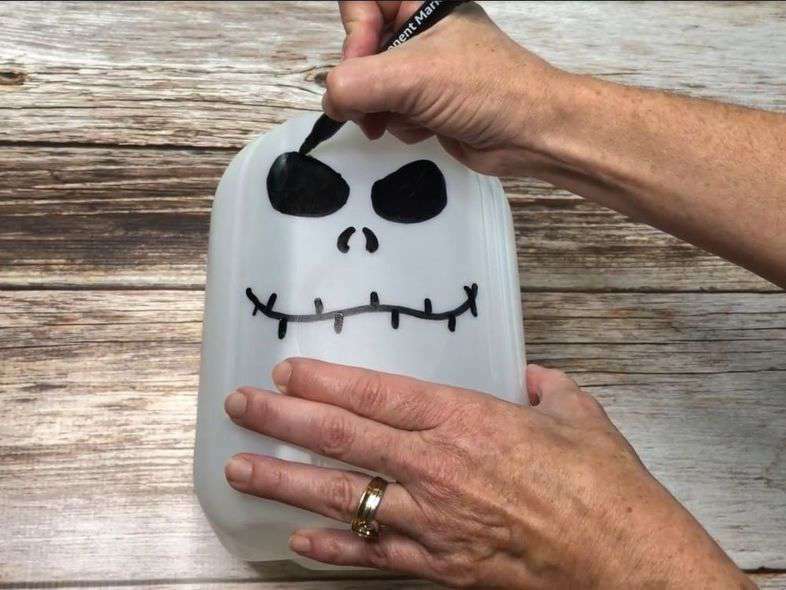 Draw faces on one side or your recycled jug with a permanent marker. Kids will really have fun doing this too. 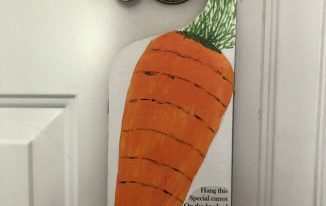 *Dry erase markers work great for younger kids with this project! 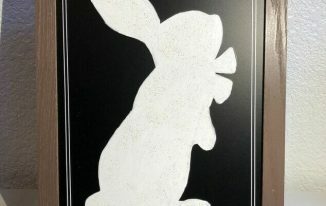 Cut a hole out with a scissors or box cutter on the opposite side. 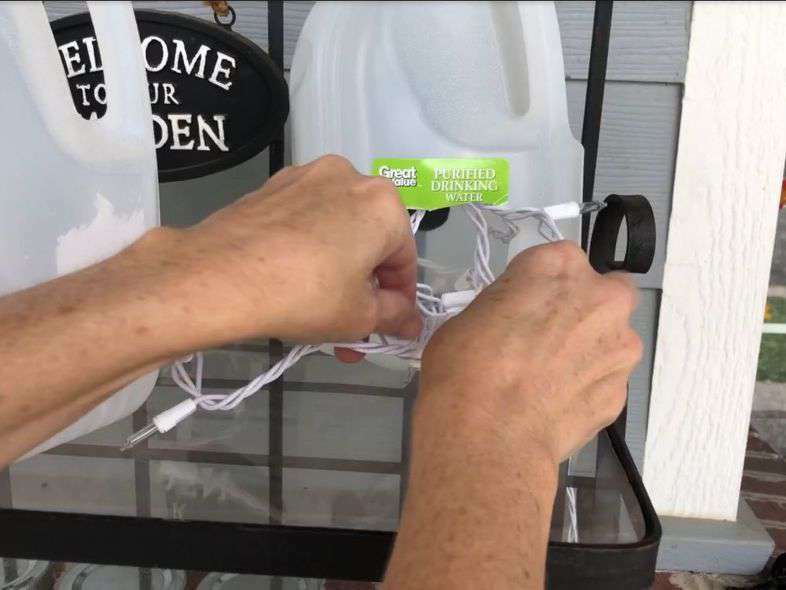 Place a strand of white lights into the hole. If you are making more than one like me, you string them into the holes across the back of all of them. Plug them in and they’re ready. I spray painted my pop cans black and then sprayed them with Glitter Blast and let them dry. *Alternatively you could cut the can first and then spray paint it second. I might suggest this option over the way I did it as some of the spray paint scratched as I was cutting the can. Use a box cutter and cut slits from the top of the can down to the bottom. I did about a 1/2 in with this one, but I tried different widths with my other cans. You can pick what’s right for you. 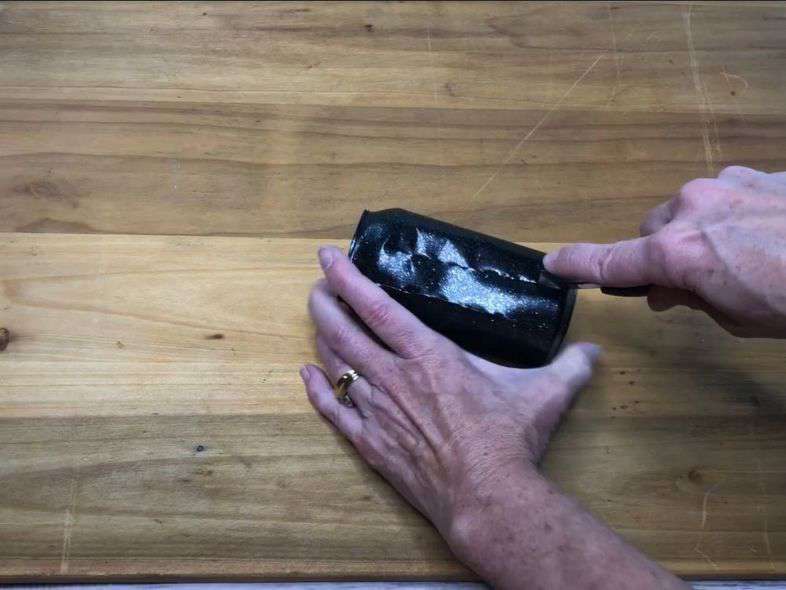 Carefully push the top of the can down, and pull out the slit sides so that they bow out. Slide in a battery operated LED light, and hang with ornament hooks by using the pop tab on top. 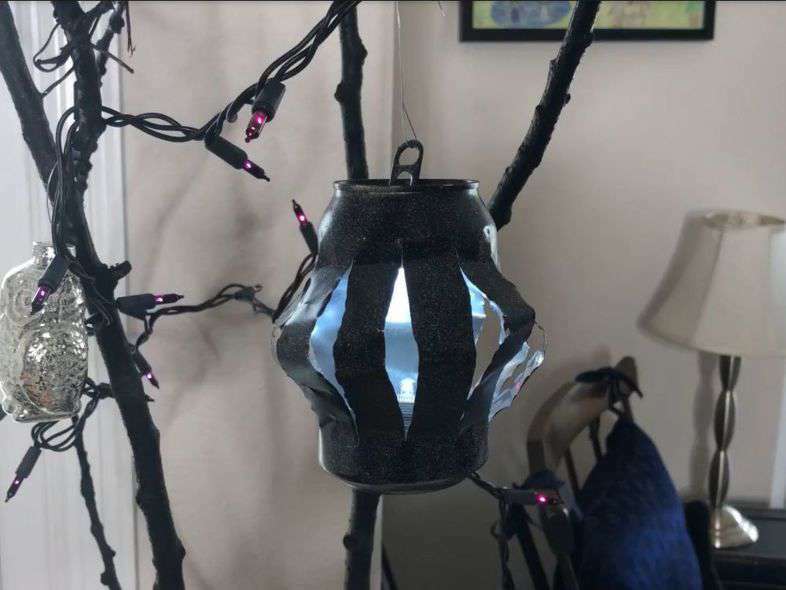 Here you can see the mummy jar and potion jar lit up. 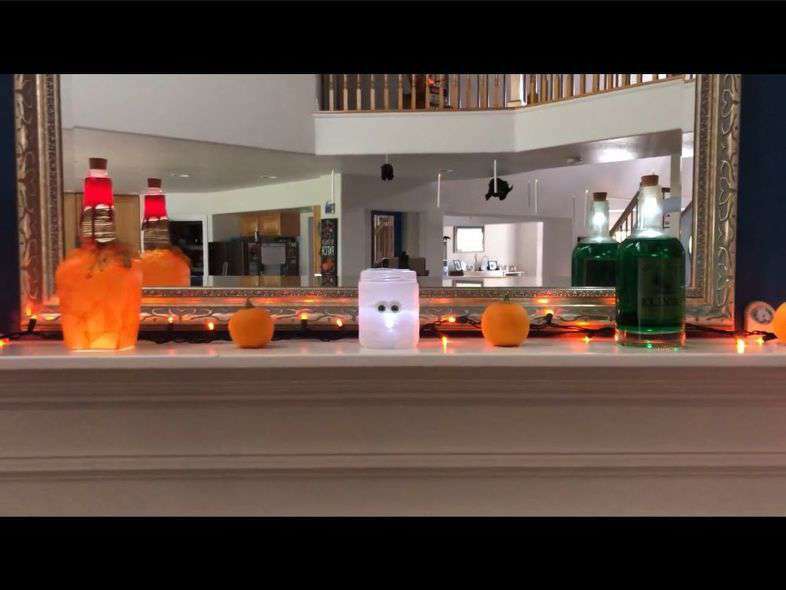 You can find my pumpkin tutorial here – Repurpose Jars and Bottles For Halloween Fun! 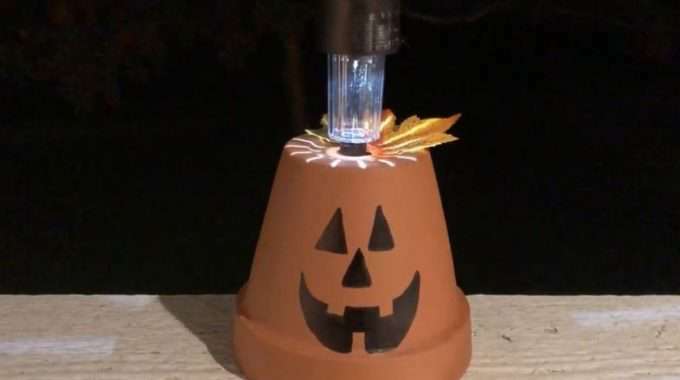 To see my Easy Halloween Decor video with Hometalk click here! 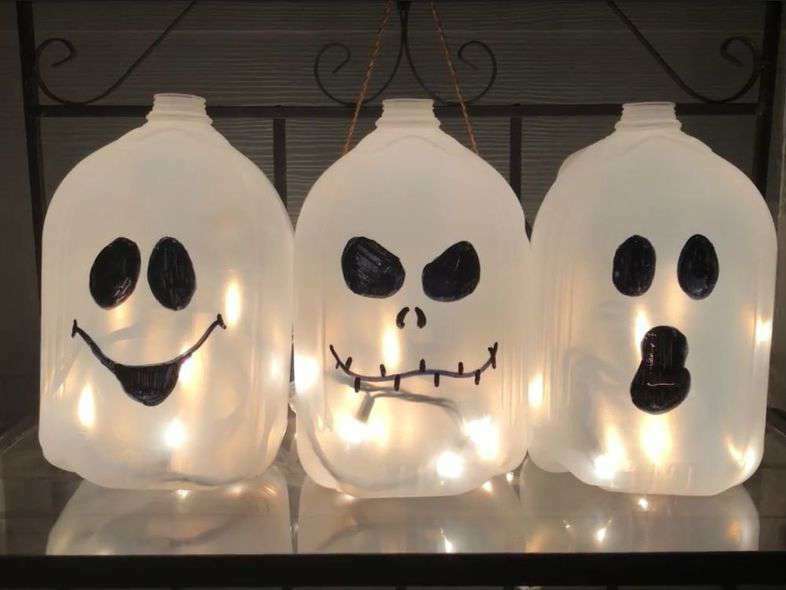 These ideas are so cute & easy to make. Thanks for sharing at Merry Monday. I love all of your ideas. Holiday decor doesn’t have to cost a fortune! 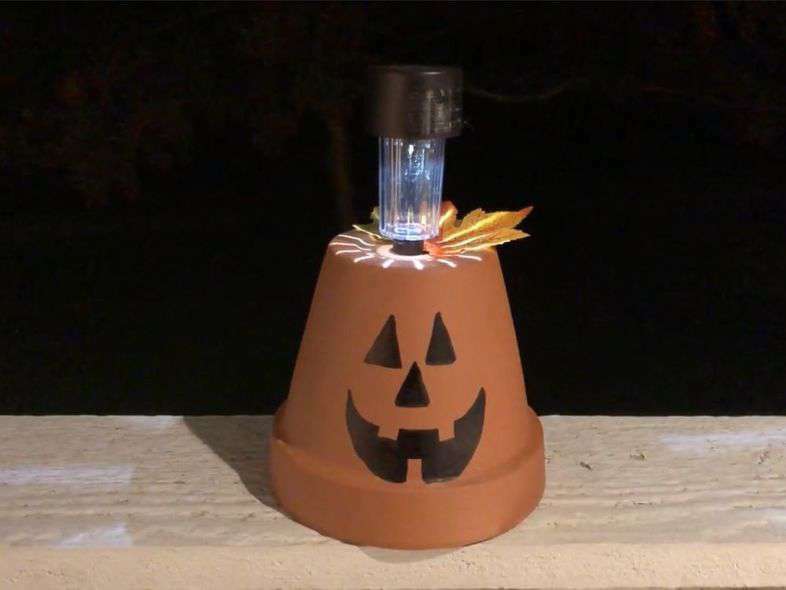 The terra cotta solar light pumpkins are darling! Thank you so much Candice, and I totally agree. Some of my favorite holiday decor are things I found at thrift stores, garage sales, and things I’ve made. Have a great week! Adorable! Thanks for sharing–you’re such fun! Thank you so much Richella and thanks for the feature and for hosting a wonderful place for all of us to share our creations. I love all of your ideas. So creative. 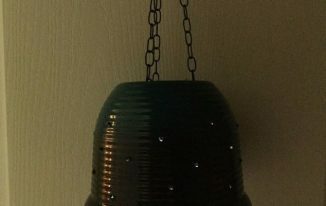 Stop by Thursday Favorite Things since you are featured. Thank you so much Bev, I truly appreciate the feature. Thanks for always hosting a place for all of us to share our creations. Thanks Jodie, Thank you so much for hosting a place for all of us to share our ideas.